Streaming videos, gaming online or sharing photos from your mobile device screens don’t mean you have to be limited to a certain location in your home. Nor do they mean you have to be wrapped up in a tangle of wires and cables. It’s easier than ever to wirelessly connect to your TV. Here are two simple, wireless options that help eliminate cable clutter and that give you the freedom to share photos or stream video where you choose. We’re all familiar with those cables that connect media devices like a DVR, Blu-ray, set-top-box, Roku, or gaming console to the TV. 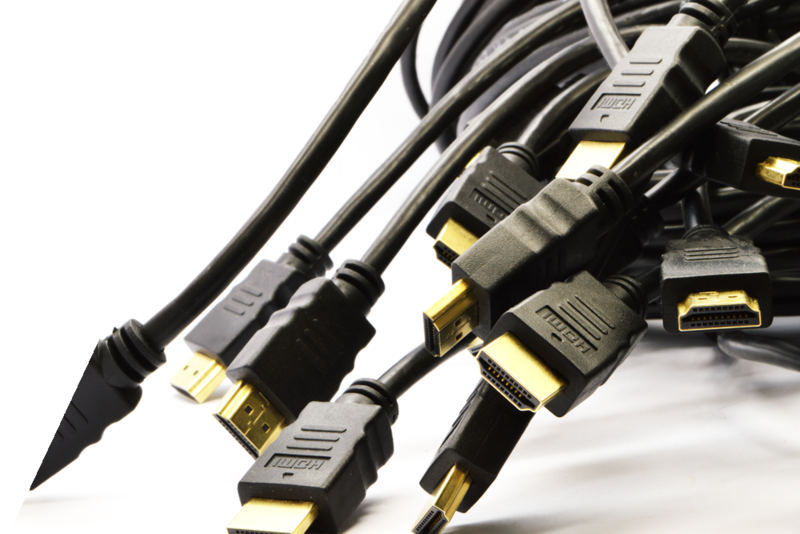 The purpose of these HDMI cables is to deliver high-definition video and audio to your big screen. Wireless HDMI is an excellent alternative to these hard wires both at home or at your business. A wireless HDMI connection offers several key benefits. First, it can allow you to have brilliant, multi-room HD without the cable clutter. Wireless HDMI transmitters and receivers can be tucked away in a media stand or even mounted behind the TV for an organized and simplified look. Second, it gives you flexibility regarding where you can place your media devices and TV in your home. Using a wireless HDMI connection, you can connect your media device in one room and to your TV in another, creating a truly connected, wireless home. Movies and sports events can be played from the living room to the family room seamlessly. Sometimes wireless HDMI kits like MyWirelessTV2 create their own direct wireless signal (not your home’s WiFi network), so you’re guaranteed a consistent, quality connection regardless of Internet connectivity. Additionally, setting up a wireless HDMI kit is a breeze and typically takes only a few minutes. Wireless display adapters are devices that allow people to share content from mobile devices like phones, tablets or laptops on a larger display like a TV screen without a cable. They allow you to “screen share” anything from those devices, including photos, videos, presentations and more, to the big screen. Screen sharing is great at home when you want to pop up those photos from your trip and share them with family and friends. It can also be useful in a business setting, when someone wants to share a presentation or other document wirelessly from their computer screen to a larger display like a projector screen or TV. Wireless display adapters like the ScreenBeam Mini2 are great alternatives to traditional wired connections. Set up and use is easy. Simply plug the adapter into your TV and connect automatically to your mobile device.